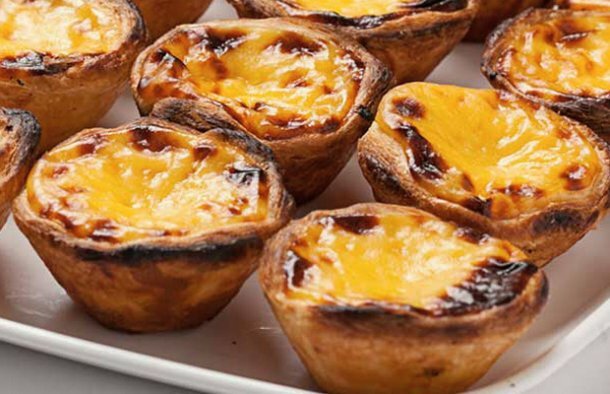 Portuguese custard tarts are well known around the world for their crispy pastry and heavenly delicious filling. Preheat the oven to 215ºC or 425ºF. Boil the milk with the lemon peel. Remove a little of the milk and dissolve the flour. Beat the yolks and the whole eggs without foaming it. Then add the boiled milk and the flour dissolved in milk (make sure to remove the lemon peel). In a pan put the sugar and water, bring to a boil and then add to the previous preparation and stir. Place the puff pastry in and around the cupcake tray cups, and fill them up 3/4 of the way (if you fill them too much, it will spill over and not cook properly). Bake for 30 minutes at 215ºC or 425ºF. 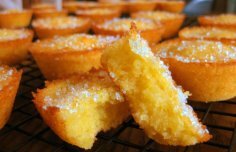 Unmold the tarts when you remove them from the oven. 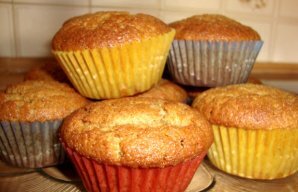 These Portuguese cinnamon cupcakes (queques de canela) are a temptation that is hard to resist. 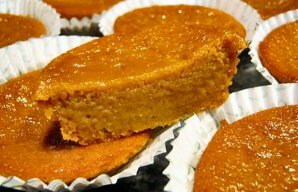 These Portuguese carrot tarts should be illegal,, they are extra moist and delicious, enjoy them with family and friends.